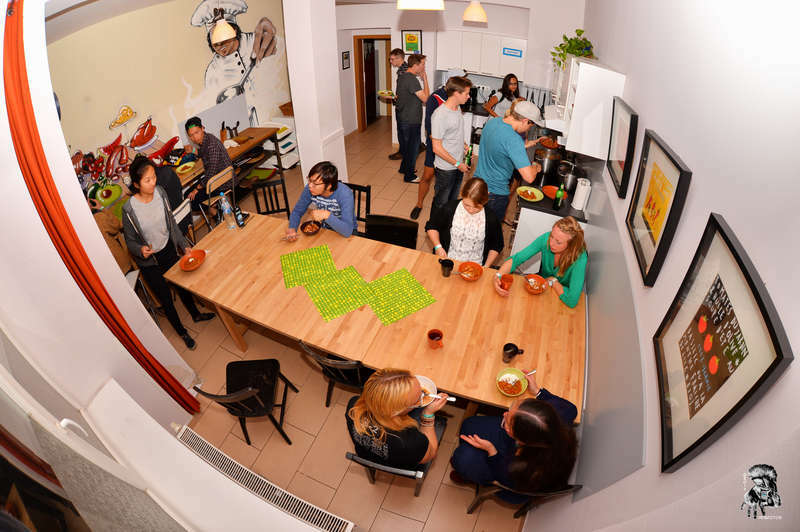 We like to think we're different than most hostels because we genuinely care about your time here with us. Not just your time spent in the hostel, but in the beautiful city of Prague. We're looking forward to meeting you and having you stay with us. First and foremost, we don't have any curfews or weird rules, because we like to have fun. Cleanliness is highly important to us, and our friendly cleaning team work around the clock to keep the place in tip-top shape. Originally an apartment complex, our hostel is better equipped than most - there's no need to haul your bag up several flights of stairs when you get here, as we have an elevator! Also, when it's time to check out and you need a place to leave your bag, you can leave it in our luggage storage room free of charge. Rooms: Each room is well designed and spacious, equipped with it's own bathroom and shower with endless hot water. Linens are included, and your bed is already made. Kitchen: Open 24/7, with free tea and coffee and fully equipped for you to cook a delicious meal. TV lounge: A great place to relax with comfy couches, cable TV, a guitar, loads of DVDs and a Nintendo 64. The Rave Cave bar: Start your night with other backpackers and enjoy some good beats and cheap drinks before we take you out clubbing. Outdoor: If you feel like escaping the busy city life, you can relax on one of the balconies, patios or beautiful garden. If you need to cancel or change your booking, please email us at least two full days before the date of your arrival (e.g. if your check in is on Friday, the last day for a free cancellation is Tuesday). Please note that we only accept cancellations via email. If you do not show up for your reservation and do not contact us, we may charge the first 2 nights of the accommodation to your credit card. Dear guest! 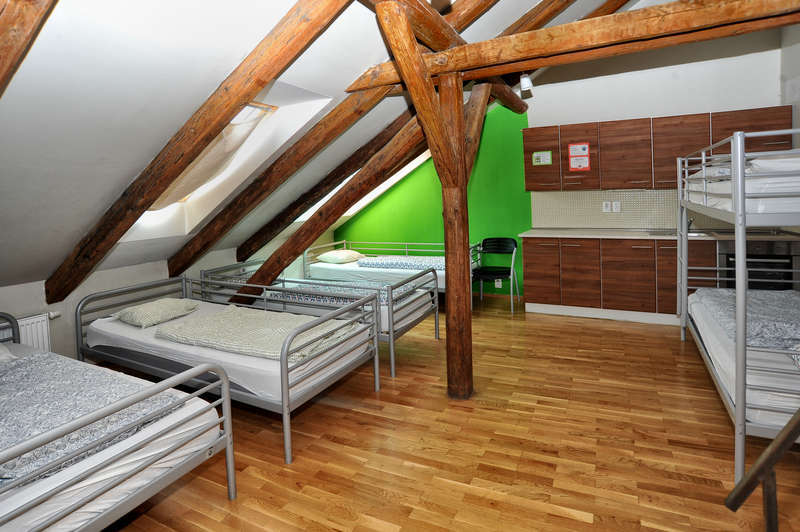 Thank you for making a reservation with our Hostel One Prague. If you need to cancel or change your booking, please email us at least two full days before the date of your arrival (e.g. if your check in is on Friday, the last day for a free cancellation is Tuesday). Please note that we only accept cancellations via email. Reception works 24 hours, so do not worry about late arrival during the night. Official check-in time is at 3pm and check-out time is at 10.30am. 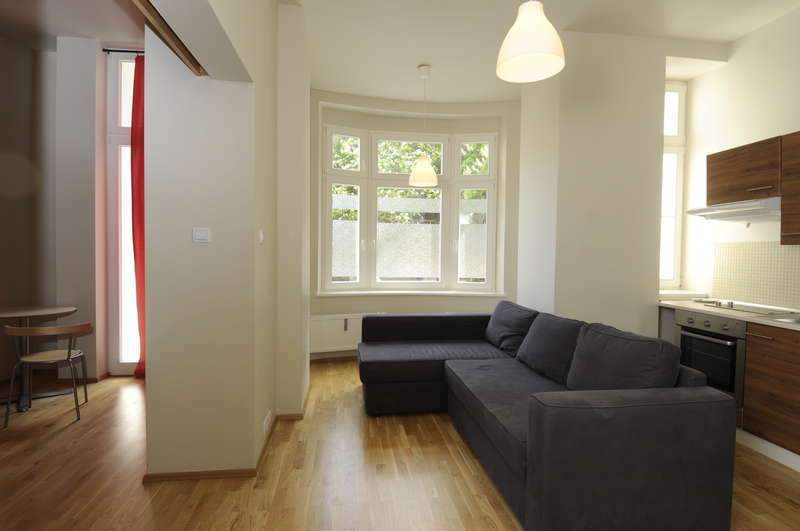 City tax 15 CZK per person per night will be charged extra upon your arrival. If you do not show up for your reservation and do not contact us, we may charge the first 2 nights of the accommodation to your credit card. Payment upon arrival by cash (CZK or EUR), credit cards (Visa or Mastercard - please note that a fee of 4% will be charged for credit card payment on top of the amount paid). After your stay, you will receive an email which gives you the chance to rate our hostel. Please leave comment for the follow travellers. its very important for us. Cheers for reading this, we look forward to meeting you in person.